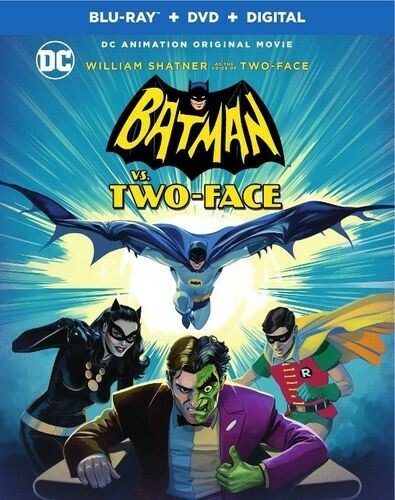 UPDATED 8/9/17: The trailer for Batman vs. Two-Face has been released. Click here! As you know, the straight-to-video flick stars West, Burt Ward, Julie Newmar — and William Shatner as the voice of the titular villain. 1. Best Buy has an on-sale date listed as 10/17/17, which is a Tuesday — the typical day of the week for such releases. Still, dates on retail websites can be wrong, especially when the studio itself has made no announcement. 2. However, New York Comic Con is Oct. 5-8 — and Return of the Caped Crusaders premiered there last year, to much ballyhoo. (Click here and here.) So the timing lines up with that Best Buy release date. 3. Return of the Caped Crusaders was formally announced last August. So. Where do things stand? My guess is we’ll hear something concrete pretty soon. Right now, Warner Bros. is heavily promoting Batman and Harley Quinn, its next straight-to-video venture, which is to be released in a couple weeks. 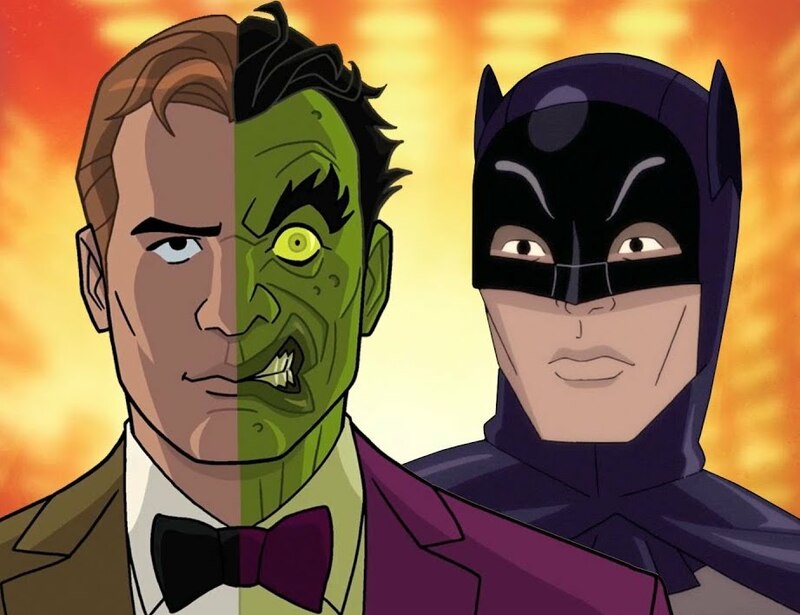 I would wager that an announcement on Batman vs. Two Face would come somewhere in that time frame — hopefully with a trailer. 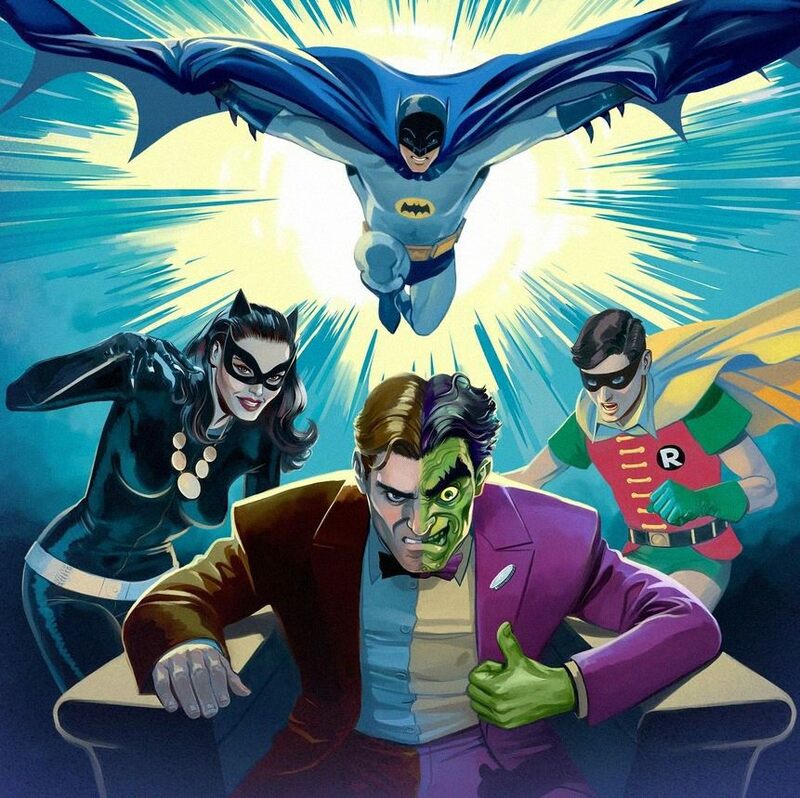 In the meantime, check out this interview with Adam West about Return of the Caped Crusaders and the live-action show’s legacy: Click here.